The note-ban was a foolish attempt to tackle the black economy and a policy-induced self goal by the Narendra Modi government. The response to its fall-out is more authoritarianism. Demonetisation is like a bad dream etched in our memories. Weddings were postponed and medical treatment was curtailed for lack of money. Long queues formed outside banks. Small businesses closed due to lack of working capital and their workers returned to their villages. Indians who never generated black money were the worst affected. Yet, the narrative that demonetisation would destroy the wealth of the corrupt was widely accepted. This was because of the misperception that ‘black means cash’. If cash was squeezed out, the black economy would disappear at one stroke – justice being meted out to the corrupt. The Prime Minister said that for long-term gain one had to bear short-term pain. He likened it to ‘ahuti’ in a ‘yagya’. If the pain does not end in 50 days, Modi said, the public could give him any punishment and he would accept it. Two years later, the pain persists but the government only continues to justify its error. It has refused to admit to the long-term damage to the economy, especially to marginalised Indians in the unorganised sectors. Instead, data from the organised sector is used to claim that the economy has recovered to a 7-8% rate of growth. This is treated as evidence that the pain was temporary. The government did not survey the unorganised sectors to find out what was happening there. The underlying assumption is that the shock to the economy did not require a change in the old methodology for calculating growth. In that methodology, the organised sector is more or less the proxy for the unorganised sector. But the shock to the economy changed the ratio between the organised and the unorganised sectors. So, the ratio used prior to November 7, 2016, was no more valid after November 8, 2016. Data from private surveys showed that the unorganised sector was hit hard. Surveys were conducted by Punjab Haryana Delhi Chamber of Commerce and Industry (PHDCCI), All India Manufacturers Organization (AIMO), State Bank of India (SBI) and many others including NGOs. The RBI survey released in March 2017 showed a sharp decline in deremand for consumer durables and so on. Agriculture faced a crisis due to notes shortage. Produce could not be sold, the sowing of crops was delayed and the demand for the perishables like vegetables collapsed. Prices fell sharply, thereby impacting incomes of farmers. Banking also went into a crisis since normal banking operations stopped for months. With industry, trade and agriculture facing a crisis, the problem of NPAs only increased. According to the Centre for Monitoring of Indian Economy (CMIE), investment fell sharply during that quarter. In effect, output, employment and investment declined, sending the economy into a tailspin from which it has not yet recovered. The impact of the goods and services tax (GST) from June-July 2017 again impacted the unorganised sectors and deepened the crisis. So, now the twin impact of demonetisation and GST is being felt in the economy. If the method of measuring quarterly growth of the economy is modified to take into account the decline in the unorganised sector (about 45% of GDP), the rate of growth would turn out to be less than 1% – what a crisis in an economy that was running well till October 2016. Institutions like the RBI were damaged. Farmers, traders, workers and the young have been agitating. The government, sensing failure, has turned more authoritarian. The roots of the current problems with RBI are also contained in the impact of demonetisation. It was believed that Rs 3 to 4 lakh crore would not return and would become available to the government to give to the poor. Since this did not happen, now a dividend is sought from RBI out of its reserves. Many identified the impact of demonetisation with a note shortage only. By the end of April 2017, 80% of the currency had come back into circulation and now it exceeds the amount on November 8, 2016. Is the impact of demonetisation over? No. The impact was not just the shortage of currency in circulation, but via difficulties in transactions on the economy as a whole. It hit output, employment and investment, which will all have a long lasting impact. All the demonetised notes were returned so little black money was squeezed out of the system. Black wealth held in the form of currency has got converted to new notes. People were being caught with lots of new currency. No one saw any rich people standing in the queues. They used various devices like Jan Dhan accounts, money mules and cash in hand to convert money. 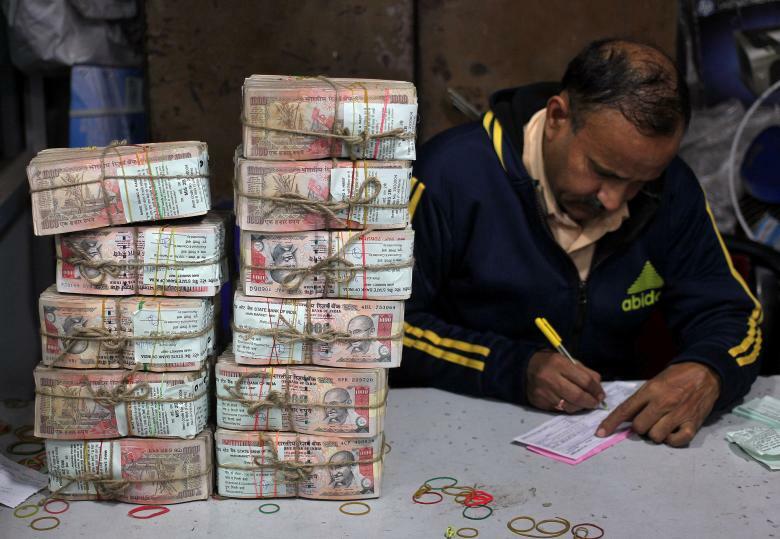 Many saw demonetisation as a political move to eliminate the black money hoard held by the opposition before the Uttar Pradesh assembly elections. But the main reason was the constant attack by the opposition that the promised Rs 15 lakh per family had not materialised and it was just a ‘chunavi jumla’. The government’s steps to tackle the black economy such as the setting up of a SIT, the foreign money bill, Benami bill, etc., had yielded little results. The party in power needed a big bang and demonetisation was that step. There are many misconceptions about the black economy. For instance, the promise to give every family Rs 15 lakh was based on the idea that all the black money is outside and can be easily brought back (within a month). If this was correct, demonetisation could not have worked because it has no impact on the black money held abroad. Further, only 10% of the black incomes generated annually go abroad and are partly round-tripped back. So, the bulk of it is here. Another mistaken belief is that black incomes are generated in the informal sector. In a change of goal posts, it was argued that demonetisation will lead to the digitisation of the economy and to formalisation which would check the black economy. But most incomes of this sector are way below the taxable limit. Black incomes are generated by only a few in this sector, like a well-off dhabawallah or a trader. Most black incomes are generated in the organised and formalised sectors, using under- and over-invoicing. If some from the informal sectors get formalised they would also resort to the same devices to generate black incomes. Since all the money has come back into the banks, in another spin, the government has argued that a paper trail is now available to track those generating black incomes. To support this argument, data is cited on the increase in direct tax collection and the number of taxpayers. Given the expansion of the organised sectors at the expense of the unorganised and the rising disparities, this is to be expected. Further, the number of direct tax payers has increased due to the implementation of the Seventh Pay Commission award. However, the rise in tax collection is not commensurate with the increase in numbers. But this is nothing new. In the past also, a large number of those filing returns have either declared nil income or declared very low incomes. It is reported that tax officers have been given targets and they are forcing businesses to declare incomes. This will not last and there are complaints of selective tax terrorism. Possibly this is the reason that the number of millionaires leaving the country is rising rapidly. In brief, the shortage of notes was painful and faded away slowly but its long term implications are playing out. Inadequate demand from the unorganised sectors which were hit hard, deterioration of the investment climate and the inadequate employment generation have meant that the crisis continues even today. Demonetisation is a policy-induced self-goal which damaged several institutions. The response to its political fallout is more authoritarianism. 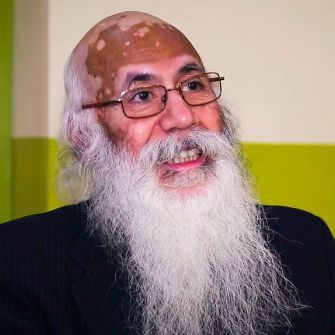 Arun Kumar is Malcolm Adisesiah Chair Professor, Institute of Social Sciences and author of Demonetization and the Black Economy, Penguin (India), 2017.